I’ve written about mum guilt before, and I’ve felt guilty a lot before. I’m not sure I ever felt as guilty as when I realised that Pippin’s first birthday wouldn’t be spent in her own home, and wouldn’t be celebrated with a homemade cake and party. 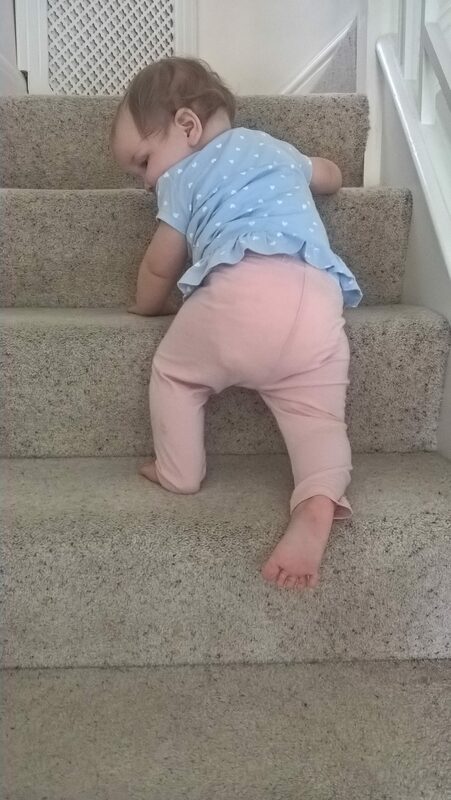 Logic dictates that she won’t know, and it also tells me that if she ever realises that we didn’t throw her a first birthday party she won’t even care. I have no idea if my parents had a party for me, I’m guessing probably not and I’m pretty sure that hasn’t caused me any hurt. I guess I didn’t expect the renovation to be going on quite as long as it has been, I thought we would be home in plenty of time for her birthday. It wasn’t to be. I shouldn’t be looking at this as a negative though. Pippin has enjoyed spending time with her grandparents, and I know they have enjoyed spending time with her. She’s also hit lots of her milestones whilst living here; she’s learned to cruise, and to say her first proper words. She can now also show you Mama, Dada and her toes when asked, which I am sure will stand her in good stead for the future. Living in another part of our town has also led me to meet some new people, who I can now count as friends and their children are now Pippin’s friends too. 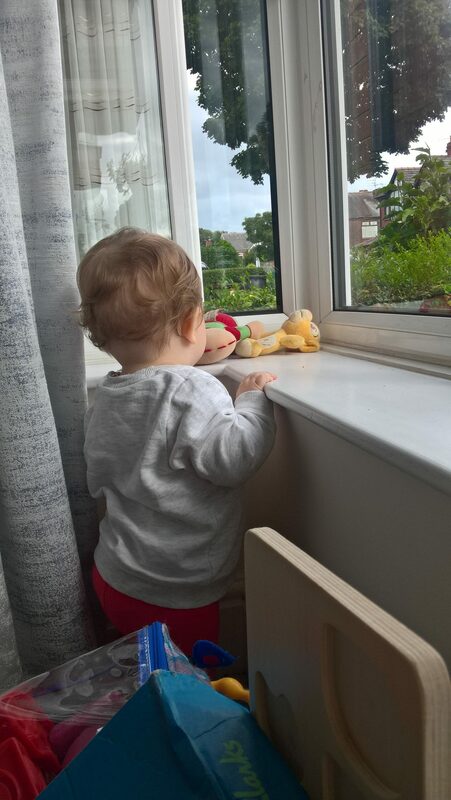 In the last few months we’ve moved from what was a quite difficult time in a house that wasn’t suitable, to a very positive future, and I know that Pippin’s second year of life is going to be filled with as much, if not more, fun than her first. When we get back into our home it is going to be a safe and wonderful place for Pippin to grow up, and I’m excited for the memories we are going to make there, but I’m going to look back fondly at the time we’ve spent living here too. She may not have the homemade cake, or the bunting and party we’d hoped, but she will have a birthday surrounded by all the people who love her and I am absolutely sure that whatever we end up doing her grandparents, aunties, uncles and cousin will make it a lovely day for her.